We manage two properties for hire, the St Andrews Hall, at the St Andrews market site, and the new Wadambuk St Andrews Community Centre. Whether you are planning a wedding, milestone birthday party or just need a space to get together with friends or work colleagues, we have some great choices of spaces to hire for small meetings or large and casual or corporate functions. We also have a beautiful gallery space for hire. Please call us or fill in the email contact form below if you are interested in hiring. For enquiries and further information call Wadambuk St Andrews Community Centre on 03 9710 1223 or fill out the email enquiry form on this page. 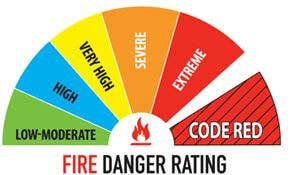 St Andrews has been identified as a place of high-risk of fire danger. During the summer fire restriction period, our facilities cannot be open on days of Total Fire Ban with a Fire Danger Rating of Severe and above.